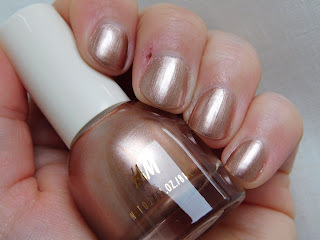 Pretty Perfect Beauty: NOTD: H&M "Copper Rose"
So I recently hauled some of the new H&M nail polishes (we'll never know why one day they just didn't sell any nail polish and then one day - BAM - they're back?). I bought this thinking it would be more rose copper than it is? It's basically just a cool toned light gold, or is that just me?... I won't get started on how brush-strokey it is either. This is 2 coats with Seche Vite top coat. I think I would have liked it more if the colour would have been more coppery and rosey?.. As it is, I just don't love it. I wish H&M would roll out their new cosmetics line to their stores?.. I find the swatches online are iffy, at best, and it would have saved me £3.99 if I'd seen this polish IRL before buying it. So yeah, who else would love the H&M cosmetics in store??  REVIEW + COMPARE: Insta-ready makeup? REVIEW: Rimmel Kate Sculpting Kit "Coral Glow"